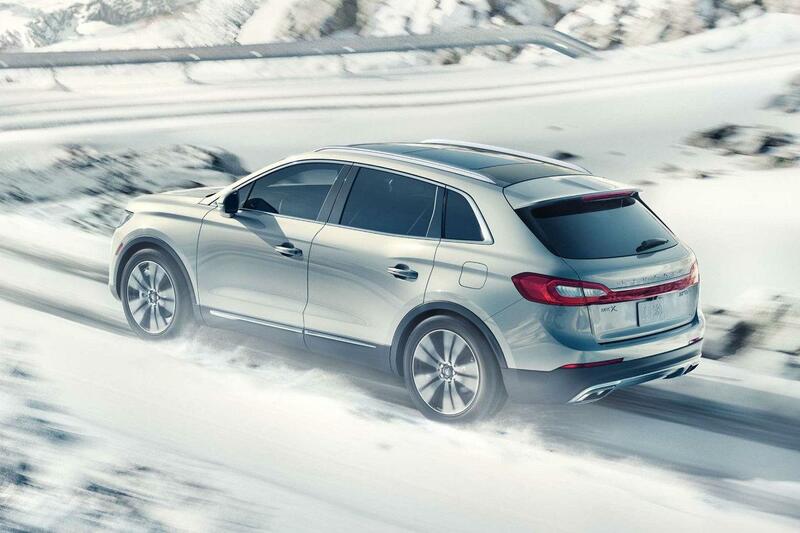 The Lincoln MKX reveals its elegance as you draw near. Sweeping body lines and a split-wing front grille define the one-of-a-kind SUV. For those who accept only the best, there’s the Black Label package, complete with trim-specific wheels and LED lighting. The Lincoln MKX turns heads – even when you’re cruising Hollywood Boulevard. 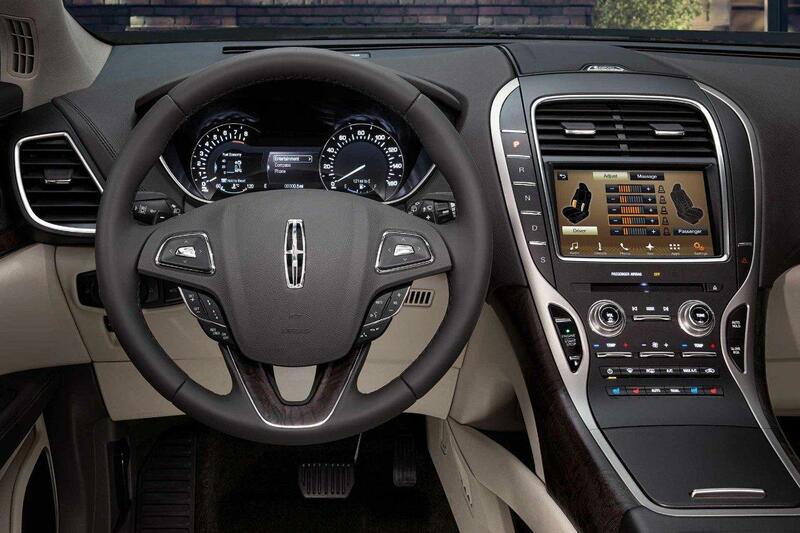 Inside, the cabin of the Lincoln MKX is covered in rich, high-quality materials. Occupants are treated to ultra-comfort seats, with 11 independent air bladders and a massage option. The seats are also heated and cooled. There’s room for up to 5 passengers and folding rear seats – in case you need to carry more gear than friends. The 2018 Lincoln MKX is available in four trim levels: Premiere, Select, Reserve and Black Label. The Lincoln MKX offers cutting-edge technology to make your life easier and more enjoyable. Trouble parallel parking? The Lincoln MKX has you covered with Enhanced Active Park Assist. This unique feature helps you locate and steer into a parking sport. Very helpful for navigating the crowded Hathorne parking lots. To make things even easier, there’s the Lincoln Way App, which allows you to pay for parking reservations in advance. It also lets you unlock and start your Lincoln remotely, schedule complimentary pick up and delivery and much more. Whether you need to link up for work or play, the Lincoln MKX is your connection hub. It features an embedded modem with 4G Wi-Fi, so you won’t miss a beat. The Lincoln MKX is proof SUVs don’t have to be a snooze on the interstate. It offers performance that blows the doors off of many sports sedans. Under the hood, you’ll find one of two advanced V6 options. The first is a 3.7L, putting out 303 hp and 278 lb-ft. If that’s not enough, there’s also a turbocharged 2.7L, making 335 hp and 380 lb-ft. All engine options are paired with a fine-tuned 6-speed automatic transmission. For optimum traction in the rain and snow (Big Bear isn’t that far away) the Lincoln MKX is offered with Intelligent all-wheel drive. This system delivers torque to the front and rear wheels to maximize traction and handling. One of the benefits of technology is its ability to keep us safe. The Lincoln MKX capitalizes on this theory by employing the latest safety features. To keep you safe on the 405 freeway, the Lincoln MKX offers lane keep assist, blind spot monitoring and rain-sensing wipers. There’s also a 360-degree camera, so you always know your surroundings. When you’re ready to upgrade to a 2018 Lincoln MKX for sale in Hawthorne, come to South Bay Lincoln. We have a wide range of 2018 Lincoln MKX models ready to make your life better. Stop by today to take one for a spin.